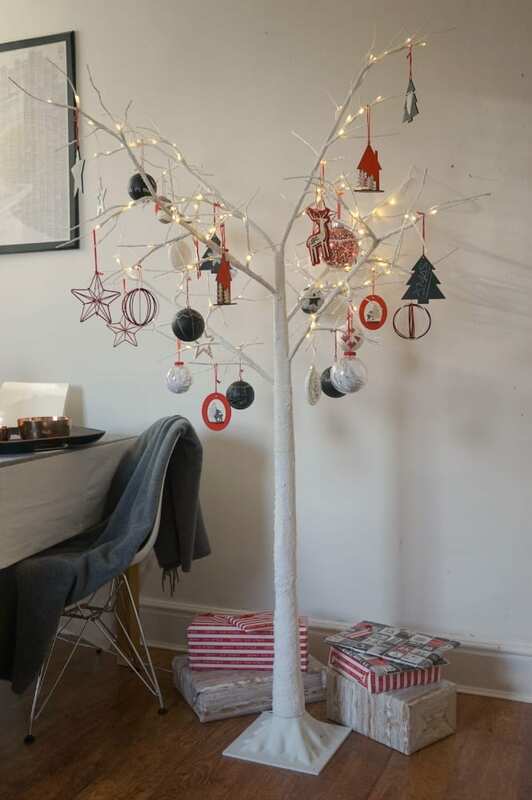 It’s one of my favourite looks for Christmas decorating this year, so I’ve styled up the tree and surrounding space with some Copenhagen or Scandi loving pieces, to show you have it can look. 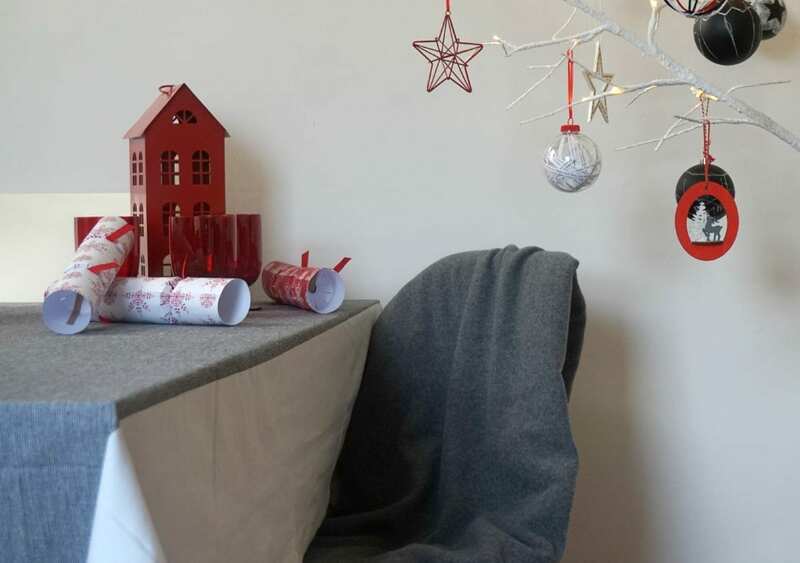 Working with John Lewis, I’ve recreated their ideas in my own home, showing how it looks in real life. The Scandinavian look is minimal, stylish and very contemporary. If it’s a look you’re thinking of creating this year, hopefully this will show you how you can pull it off. 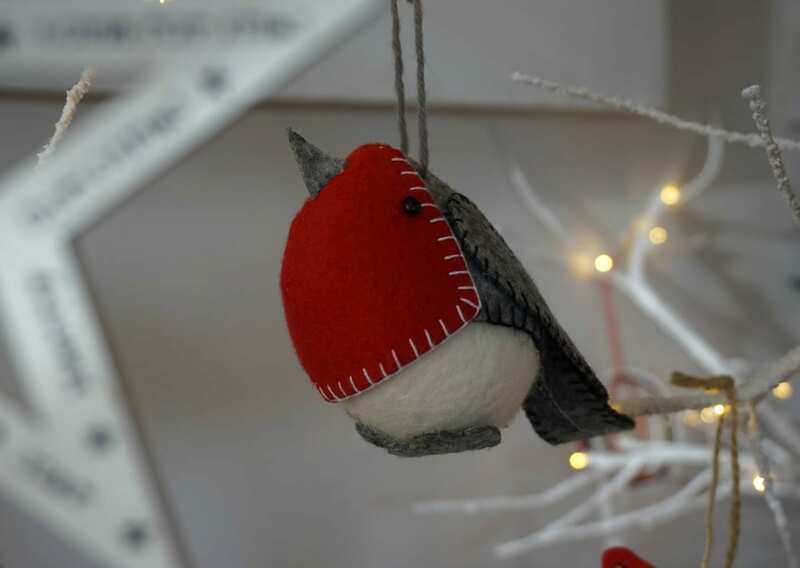 Alternatively, it’s simple to add a few of these items to your existing tree and decorations to give it a fresh look this season. One of the trees that fits this look perfectly, is the Twig Tree. We debated long and hard about whether this was a good idea. 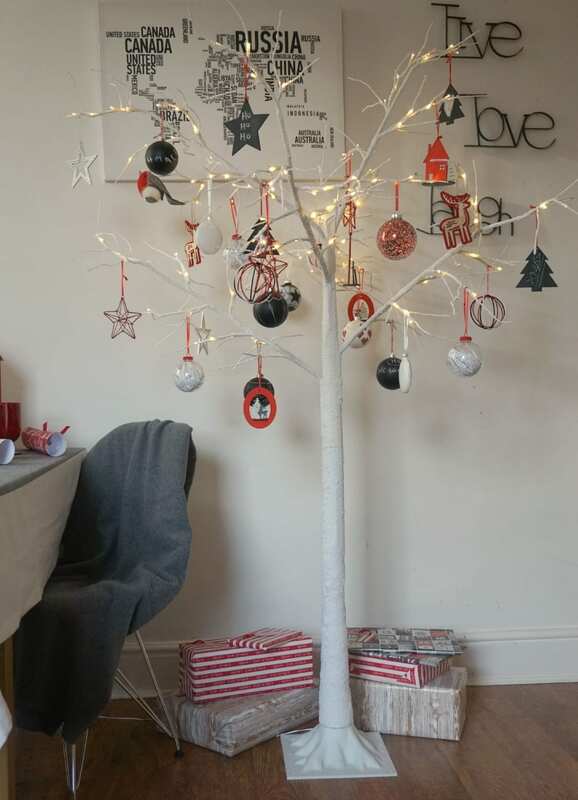 Would the children be unhappy to not have a traditional looking tree? Would Santa still leave gifts under it? But the general consensus was positive, so we’re giving it a go. This is a 5ft tree, and is plenty big enough in our house. It’s stable, lightweight and easy to put up and take down. If you love it enough, you could even leave it up (minus baubles) throughout the Winter. The beauty of this tree is there are no fairy lights to fight with and untangle each year. My Christmas tree has to have a Robin, in honour of my Dad. I’ll be sending this beautiful felt one to him for his own tree this year. 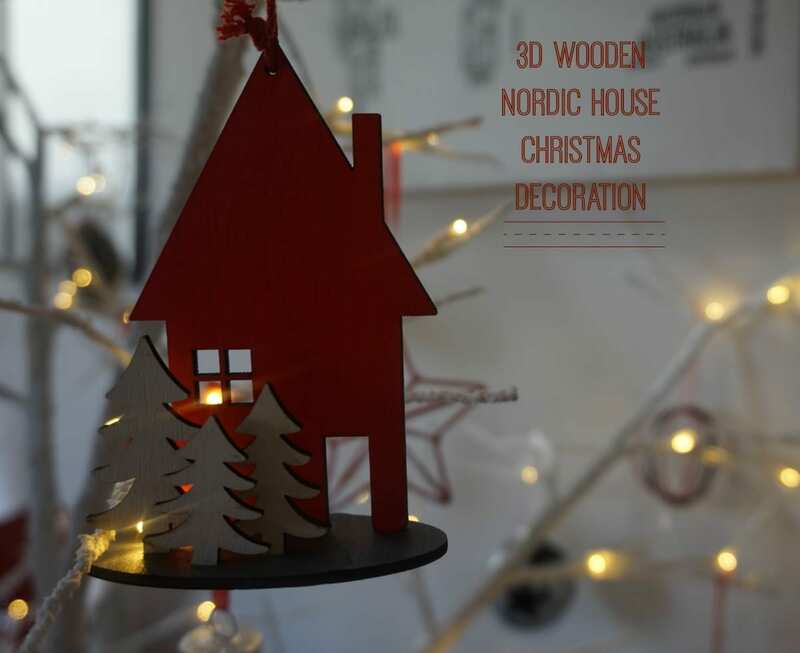 So contemporary and bang on trend, these 3d Wooden House decorations are inspired! The girls have loved these baubles. 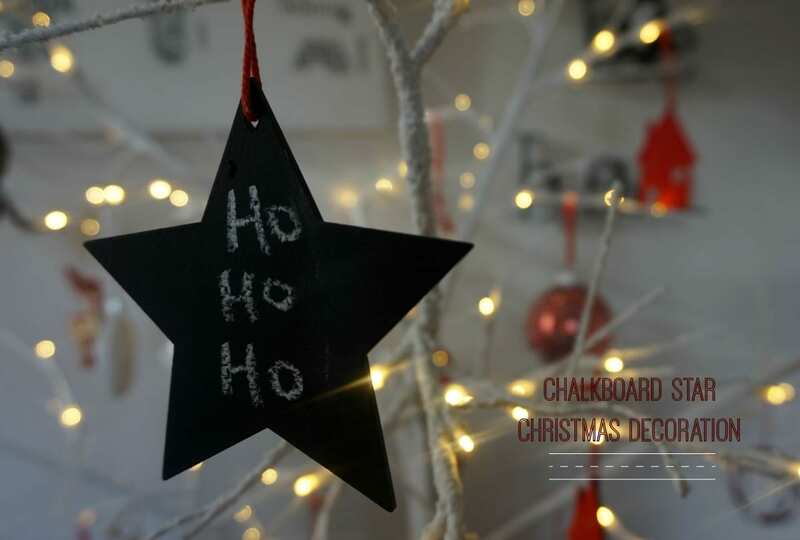 We have a selection of black chalkboard baubles, stars, and hanging Christmas trees, and they had huge fun writing messages of love, peace and good wishes all over the tree. 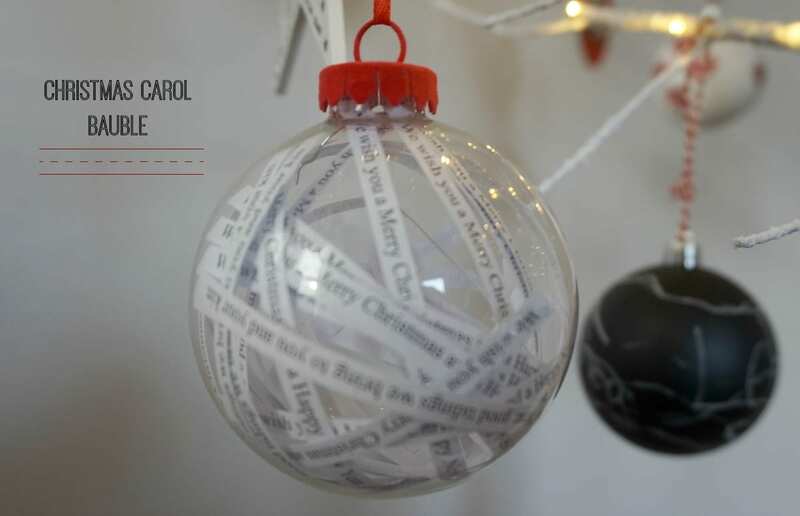 Shake these Christmas carol baubles, and the paper moves around inside, allowing you to see all of the words and titles of your favourite carols. 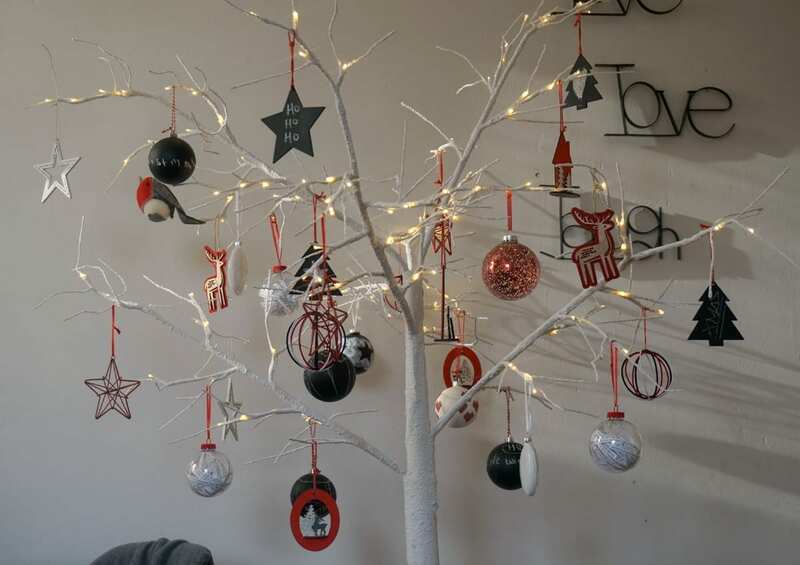 Combine these with a selection of flat baubles, wire stars, black and red wire circles and the laser cut reindeer, and the Copenhagen inspired tree is complete. A tree like this needs less baubles and decorations than a traditional tree, but you can see how it really works, and is a real statement. Top Tip: If you have several of the same bauble, hang them all at the same time, spacing them across the tree as you go. It’s always lovely to have some wrapped gifts under the tree that co-ordinate with your decorations. I know. 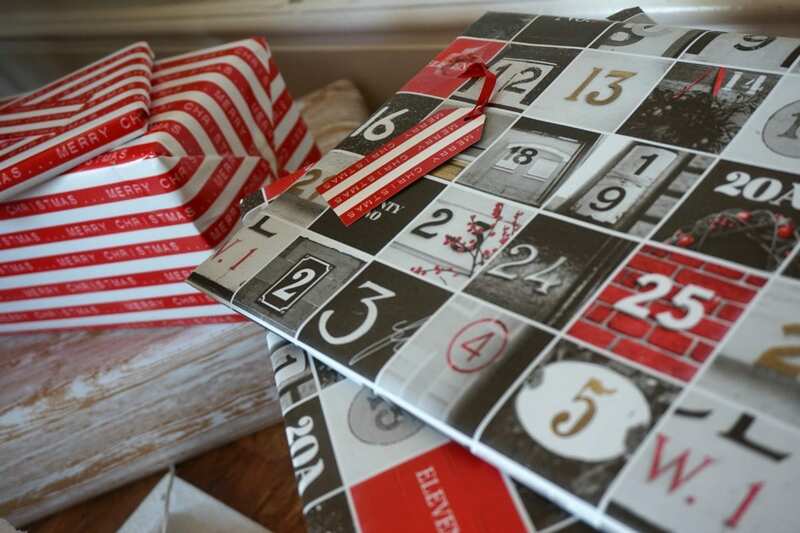 It seems a little over the top, but you could even wrap some empty boxes to create the effect. 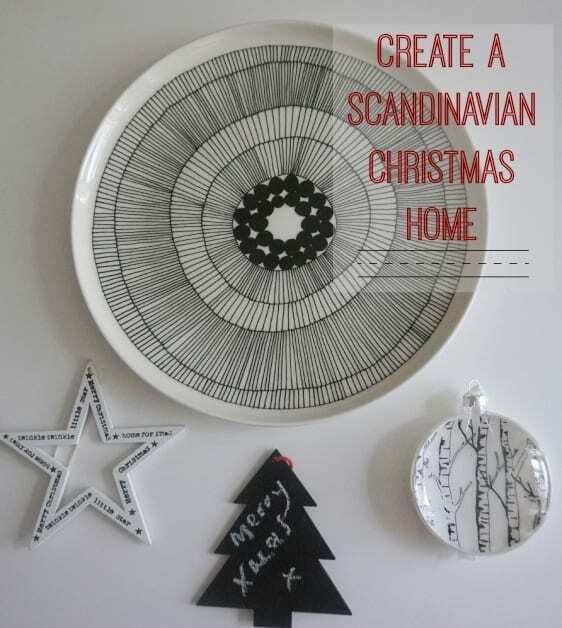 Why not add a few Scandinavian touches to your home this Christmas? I’ve picked out some of my favourites from the John Lewis Copenhagen Edit, both for the home and the Christmas table, which you can see here. You can’t do Christmas, or Winter even, without a gorgeous throw. This sleek, simple Charcoal Lambswool throw is perfect for the Scandi look, and great to snuggle under on a cold evening. 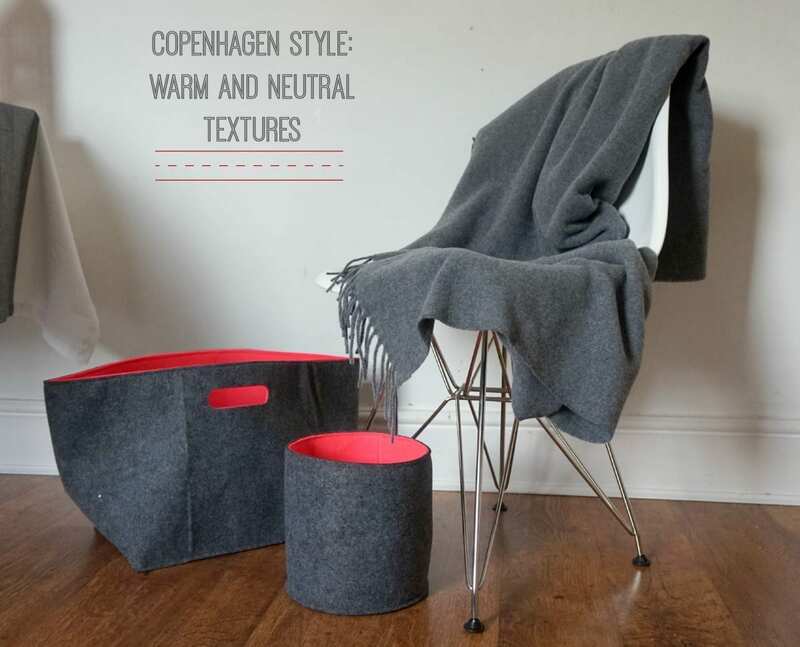 The grey felt storage pieces are excellent in the living room, or bedroom and perfect for magazines. 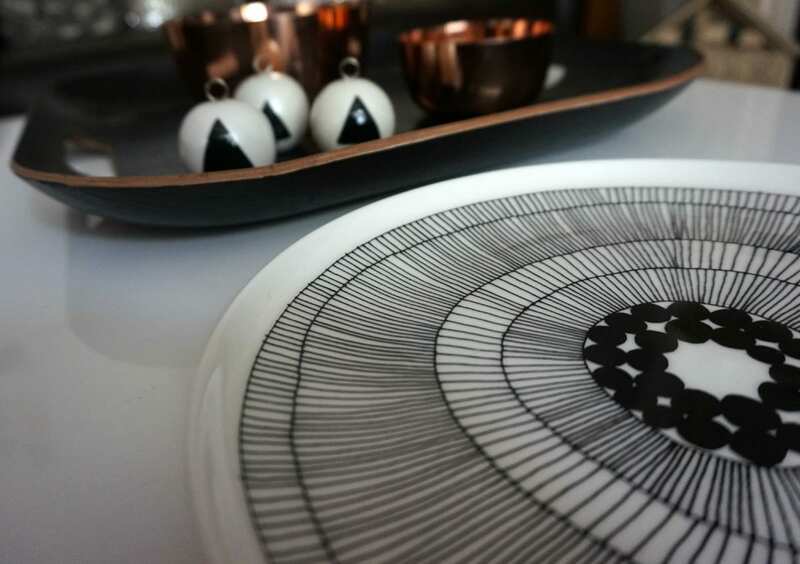 Stylish wooden trays, a beautiful Marimekko plate, copper bowls, and graphic print name place holders for the table all help to create the perfect Scandi look this Christmas. For the Christmas table, lay a grey and white linen tablecloth, add some simple red and white crackers and chunky glass goblets. The tall metal house is perfect for tealights and would look stunning in a fireplace, or even on the table as a centrepiece. Creating a Scandi cool home is easier than you think, and the pieces are perfectly suited to dot around the house to give your current look a refresh. If you want to shop this look, all of the items are available at John Lewis in the Copenhagen Edit. I shopped for all of the baubles in the Scandinavian Decorations section of the website, which ranged in price from £1.75 to £4.50 each. The home pieces, such as the throw, tablecloth, glasses, Marimekko plate, and lots more, are all available here. Is this a look you like for your own home? very nice! also i would totally love that marimekko plate. 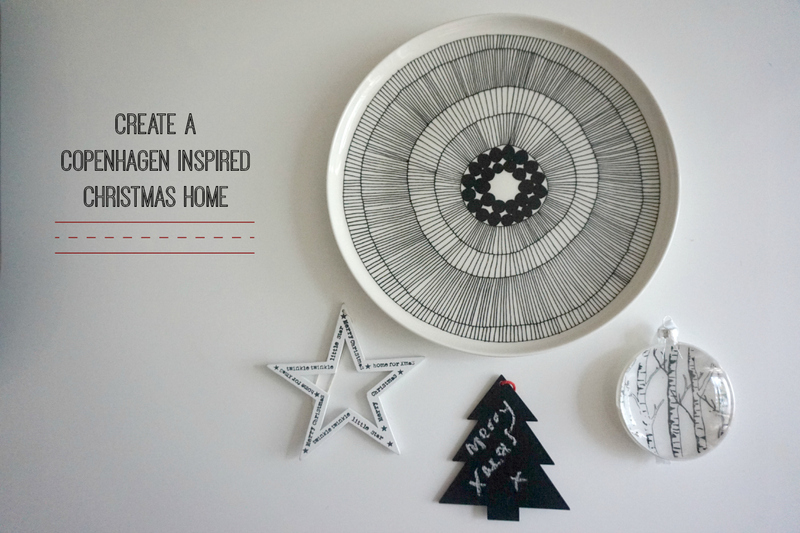 I love that black and white plate – gutted that it is out of stock! I really like the copper that’s part of the range too. Cute post and great xmas decor ideas! It all looks beautifully coordinated and I love the scandi theme. Last year we had simple twigs and baubles as we were going away for Christmas and it was a nice alternative.